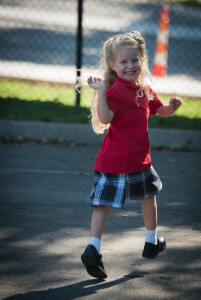 Welcome to Saint Ann School! 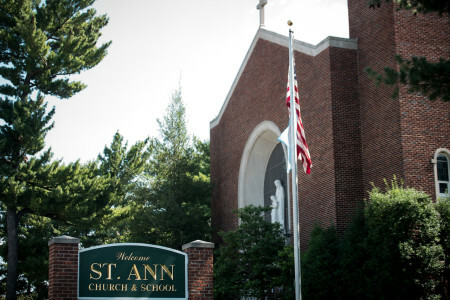 Saint Ann School has a long history, almost 100 years, of educating and supporting future leaders in our community. When you enter Saint Ann School you become more than a student, teacher, or parent; you become part of a community, you are family. 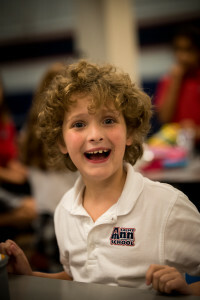 Saint Ann School is centered on three pillars, Spirituality, Academics, and Service. 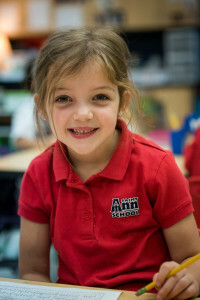 At Saint Ann School we strive to educate the whole child, leading our students to be successful academically, rooted in service, and deepened in their spirituality. We believe learning goes beyond the classroom walls; learning is to be exercised throughout the school and the city. Service allows our students to embrace learning and grow within the community around them. These pillars and traditions have served Saint Ann School well for many years and we continue pushing toward excellence. 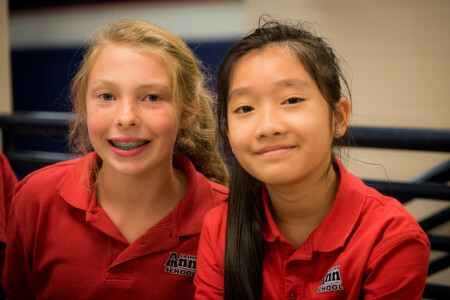 As you walk through the doors of Saint Ann School, you will see a traditional parish school with a staff that embraces and challenges students daily. You will hear words of encouragement as teachers go the extra mile to ensure students are supported throughout their time at Saint Ann. You will witness a diverse group of students as you witness the Hand In Hand Program operating within the regular school day. You will see students who are happy and challenged to always pursue their dreams and model what EagleSTRONG looks like on a daily basis. 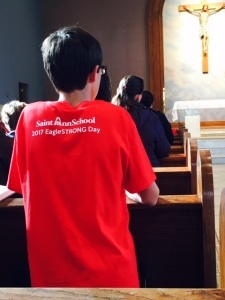 Our Eagle Scholars engage in the core academics daily, living within the Catholic teachings of the Church by attending Mass twice a week, praying throughout the day, and participating in other religious observances. Students are encouraged to experience other core components of education such as PE, music, art, drama, library, and Spanish. We have a strong athletic program which includes cross country, volleyball, and basketball. We also allow our students to grow beyond their classroom as they participate in; Model UN, Forensics Club, Science Olympiad, Choir, and monthly clubs. Our faculty and staff take their role in their students’ lives very seriously. We strive to bring the Catholic faith alive through our words and actions while encouraging and uplifting all we encounter. I invite you to stop by and visit our school to see for yourself the great things happening at Saint Ann. 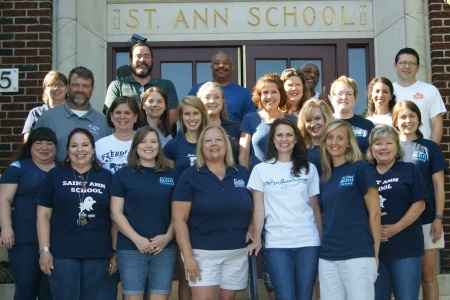 Saint Ann School office is open from 7:30am- 3:30pm Monday through Friday or by appointment. 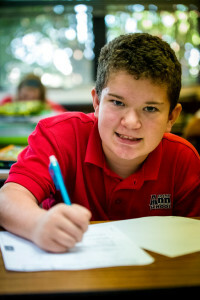 Saint Ann School students are in class from 8am-3pm Monday through Friday. For a list of school closures and holidays, please check the calendar.